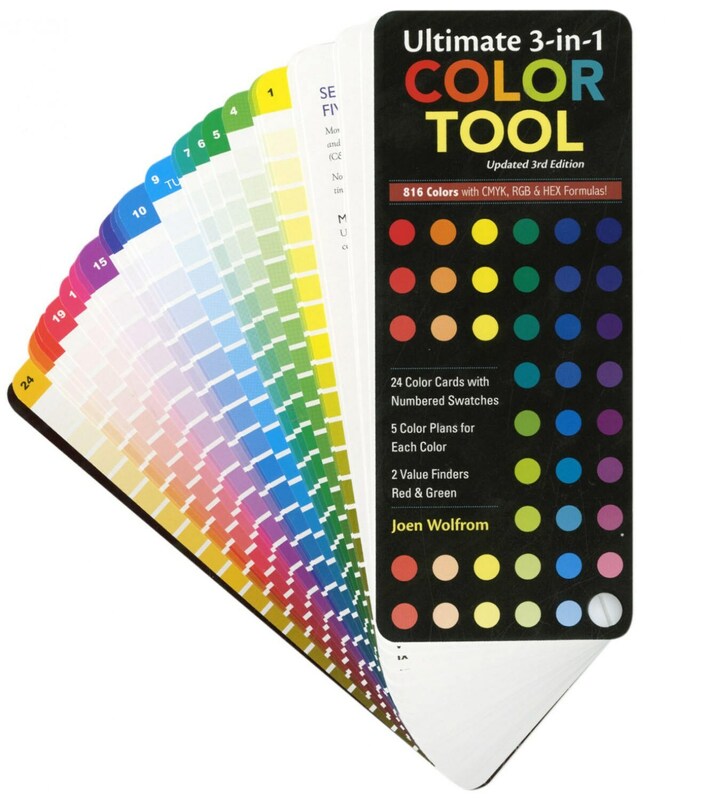 Keep this color card tool in your quilting area or when you shop at quilt shops. Helpful tips are included with this hand held companion. It's easy as 1, 2, 3... Start with your desired color card. Choose a color scheme options. Find the corresponding color cards to create the perfect color combination. Improved! Larger color swatches and expanded guidelines for use. Portable size. Based on the Ives Color wheel.